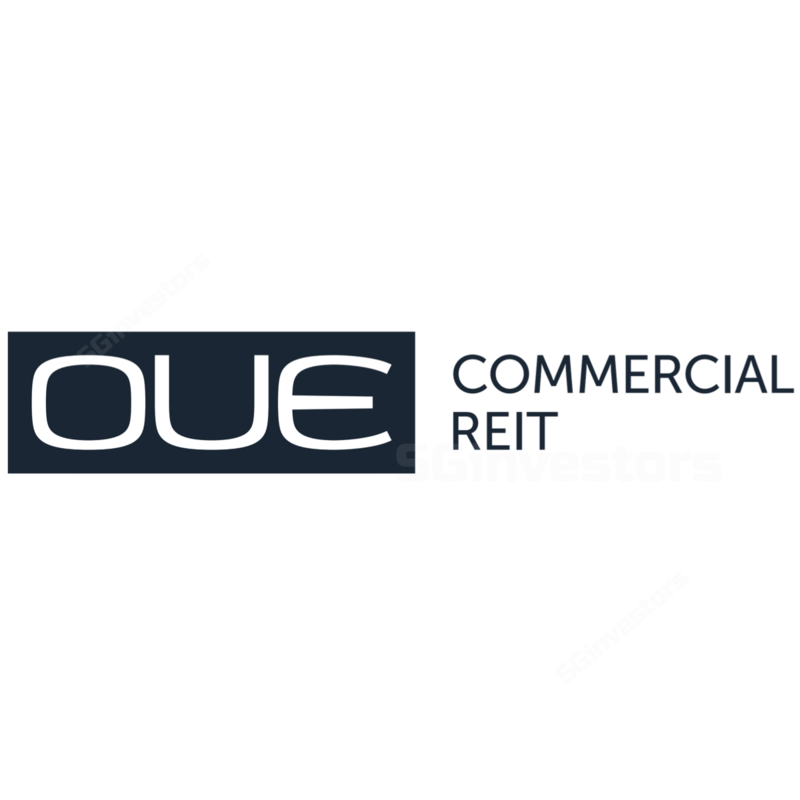 OUE Commercial REIT 4Q17 DPU of 1.14 (-3.4% y-o-y) in line with expectations. Drag on DPU due to impact from equity placement in early 2017. Near term pressure on DPU to persist on the back of debt funded redemption of its convertible perpetual preferred units. We maintain our HOLD call on OUE Commercial REIT (OUECT) with a Target Price of S$0.73. While we see long-term value in OUECT as it trades at c.15% discount to its book value and spot office rents in Singapore have started to recover, we believe the stock will trade range-bound in the near term given there is still risk of negative rental reversions and an expected fall in FY18 DPU. Where we differ – Higher target price. While we and consensus both have HOLD recommendations on OUECT, our Target Price is higher than the consensus average. While acknowledging the potential dilution from the conversion of the convertible perpetual preferred units (CPPU) in the medium term, we believe the quality of OUECT’s buildings that are in the Grade A category as well as the prime location of the properties justifies a lower implied yield spread differential to the large cap office REITs of 1.2%. Upside from acquisitions or faster office recovery. While we are cautious on OUECT’s near term share price performance, we would turn more bullish if the trust is able to pursue DPU accretive acquisitions and/or spot Grade A office rents rise faster than expected exceeding our target of S$10 psf/mth by end 2018. In addition, clarity over its capital structure, in particular how it intends to mitigate the potential medium term dilution from the CPPUs may also lead us to be more positive on the stock. We retained our DCF-based Target Price of S$0.73. With only 2% total return expected over the coming 12 months, we maintain our HOLD recommendation. The key risk to our view is a faster than expected recovery in spot Grade A office rents resulting in higher than expected rental income for the REIT. As expected OUECT had a soft end to the year with 4Q17 DPU dropping 3.4% y-o-y, largely due to the impact from the S$150m equity placement in March 2017. This also translated to FY17F DPU coming in at 4.67 Scts which was down 9.8% y-o-y. Underlying 4Q17 revenue and NPI were also weak, down 2.3% and 0.3% respectively largely due to negative rental reversions recorded in prior quarters. On a positive note, overall portfolio occupancy improved y-o-y to 96.8% from 94.8% in 4Q16 with an increase in occupancy seen across all OUECT’s properties. Occupancy at OUE Bayfront now stands at 98.2%, up from 97.7% at end 4Q16 and was stable q-o-q. One Raffles Plaza’s (ORP) occupancy jumped to 96.5% from 92.2% at end 4Q16, however dipped from 97.3% at end 3Q17. Meanwhile, Lippo Plaza remains fully occupied (100% in 3Q17) but up from 94.5% at end 4Q16. OUECT’s Singapore properties reported negative rental reversions over the quarter as spot market office rents while improving to S$9.40 psf/mth have not recovered fast enough. Likewise signing rents at ORP came in at S$8.50-10.50 psf/mth, below average expiring rents of S$10.88 psf/mth. At Lippo Plaza, OUECT achieved signing rents of RMB9.70-$12.00 psm/day compared to average expiring rents of RMB10.08 psm/day. On average, OUECT still reported negative rental reversions at the property. Due to these negative rental reversions, average passing rents at OUE Bayfront, ORP and Lippo Plaza fell to S$11.43 psf/mth, S$9.40 psf/mth and RMB9.79 psm/day from S$11.85, S$10.28 and RMB9.89 in 4Q16 respectively. Going forward, OUECT guided that subject to how spot rents in Singapore improve in 2018, there remains risk of negative rental reversion. For Lippo Plaza, the trust remains cautious given an increase new supply in Shanghai. In terms of renewals over the next few years, around 19.3%, 25.1% and 22.9% of leases by gross rental income are subject to renegotiation in 2018, 2019 and 2020 respectively. OUECT’s gearing increased to 37.3% at end 4Q16 from 36.9% at end 3Q17 despite revaluation gains recorded over the quarter, due to the impact of the redemption of c.S$75m worth of convertible perpetual preferred units (CPPU). With the additional debt funded redemption of S$100m worth of CPPUs in January 2018 to mitigate future DPU dilution, gearing is expected to climb to 40.3%. Average cost of debt was stable at 3.5% with the proportion of fixed rate debt falling to 84.3% from 91.8% at end 3Q17. For 2018, OUECT has around S$462m worth of debt due for refinancing. It is in active discussions ahead of the maturity in 2H18. At year end, OUECT reported an increase in property values (S$3,515m from S$3,404m) largely due to the reduction in the cap rate for the 99-year leasehold component of ORP from 4.0% to 3.9%. In addition, valuation of Lippo Plaza increased to RMB588.9m from S$524.2m on the back of higher underlying earnings at the property. Valuation at OUE Bayfront was relatively stable given the cap rate of 3.75% was maintained. Post the revaluation gains, NAV per unit rose to S$0.91 from S$0.85. After incorporating the impact of the debt funded redemption of S$100m worth of CPPUs, we reduced our FY18-19 DPU by 1-3%. However, we maintained our DCF-based Target Price at S$0.73 given stronger expected earnings in the medium term given faster than expected recovery in spot office rents in Singapore thus far and guidance that expiring rents are lower than expected. With OUECT expected to report a decline in DPU in 2018 and with only 2% total return expected over the coming 12 months, we maintain our HOLD call with a Target Price of S$0.73.